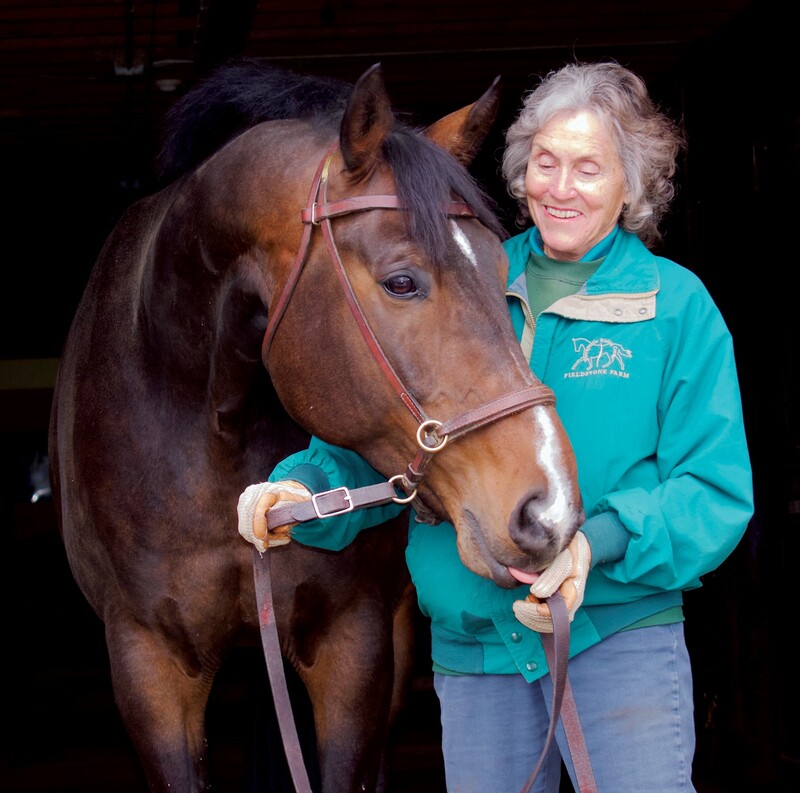 At 82, Alison “Sunny” Jones, has decided to step back from her regular weekly lessons at Fieldstone Farm after a 23-year career as a volunteer instructor, board member and donor. But she isn’t hanging up her breeches yet. Sunny will still be riding and carriage driving at her farm, Tannerwood, in Chardon, and will continue on as a substitute driving instructor when needed. She plans to continue her support to Fieldstone Farm through her family foundation, the Triple T Foundation. “It’s bittersweet,” says Sunny, who will miss working with the students and her carriage driving team. 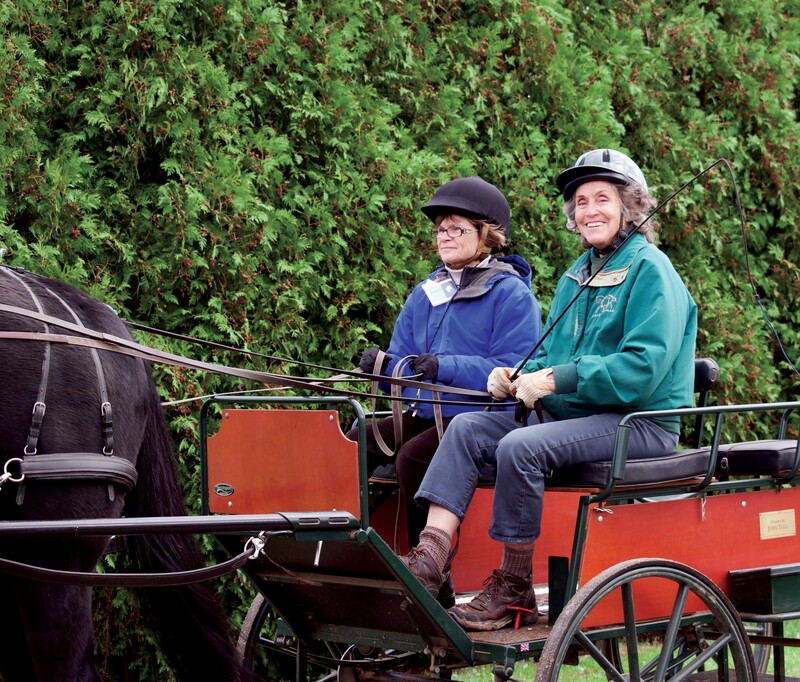 She’s proud of the carriage driving program that she helped develop, and so pleased that people who are unable to ride have the opportunity to drive horses. “Sunny’s passion for horses and our students has been a big driver for our success,” says Lauren Simak, instructor and head of the driving program. She’s been involved in the leadership of the organization for more than 20 years as a board member, honorary chair of our capital campaign that funded the building of our facility, and a founder of our carriage driving program, as well as being a generous donor. A lifelong horse woman and breeder, Sunny first came to volunteer at Fieldstone when her good friend Debbie Gadus, now also an instructor at Fieldstone, was seriously injured in an accident and paralyzed. Together they came to the farm and developed our carriage driving program. Now, 20-plus years later, our carriage driving program is thriving, with veterans and other students driving several days a week with the help of our highly trained team of horses and volunteers. In addition to her leadership at Fieldstone Farm, Sunny was influential in developing equine programs at Lake Erie College and the girls’ riding program at Chincapin of Red Oak Camps, which is now housed at her farm in Chardon. We thank Sunny for her extraordinary service and service and commitment to Fieldstone Farm. She will be missed in lessons although we are so glad that she’ll remain involved!